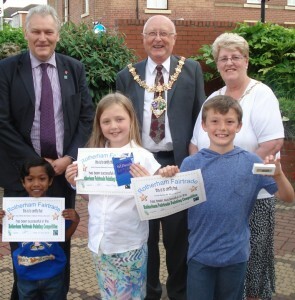 A closely fought battle resulted in three overall winners for the 2014 Rotherham Primary Schools Fairtrade Poster Competition. 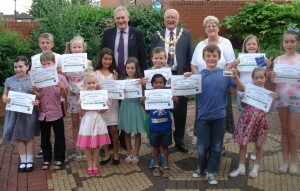 Talented youngsters from across Rotherham Borough competed to have their posters displayed at the Town Hall. A presentation took place Thursday 17th July at Rotherham Town Hall, attended by students from St Mary’s RC Primary, Heringthorpe Junior & Infants, Bramley Grange Primary & St Bead’s RC Primary. 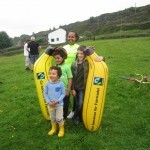 The children were accompanied by parents, siblings and school staff (including teachers). The 1st 2nd & 3rd prize winners received vouchers and all of the children were presented with certificates & special Rotherham Fairtrade memory sticks by the Mayor of Rotherham. 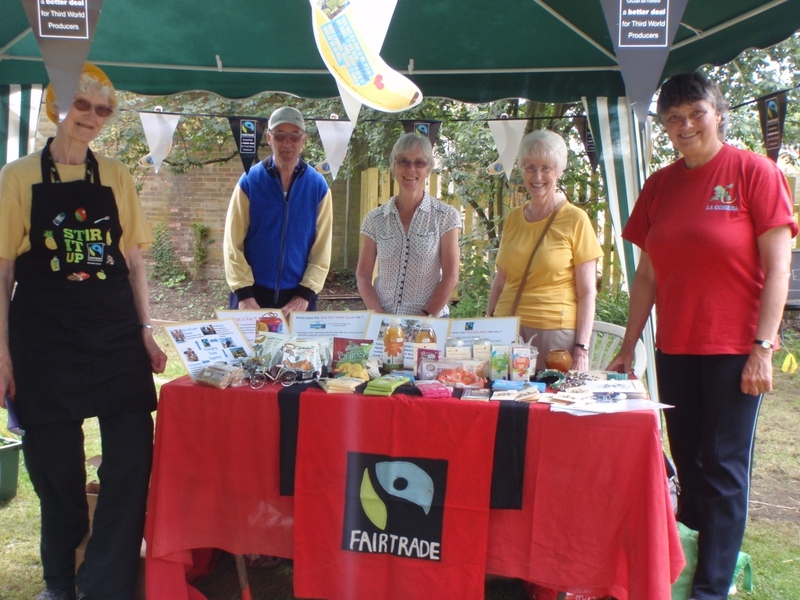 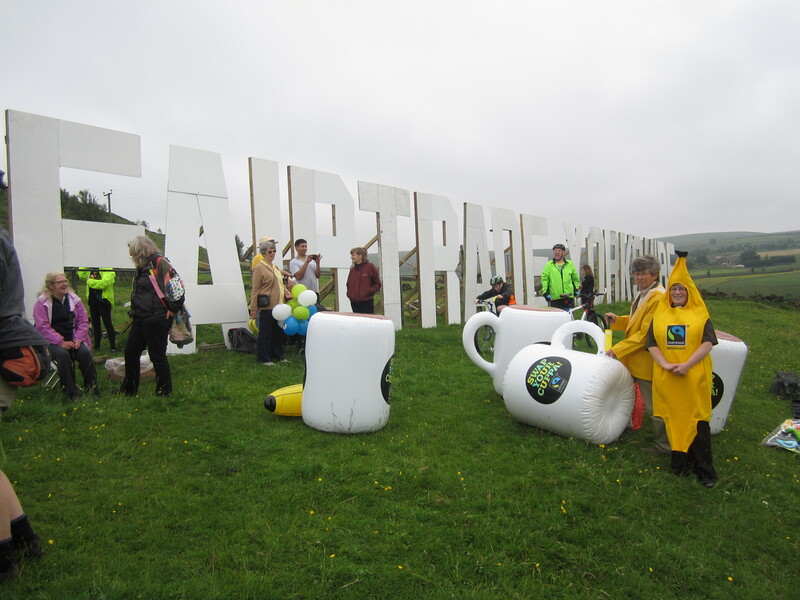 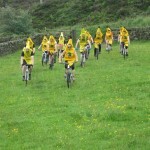 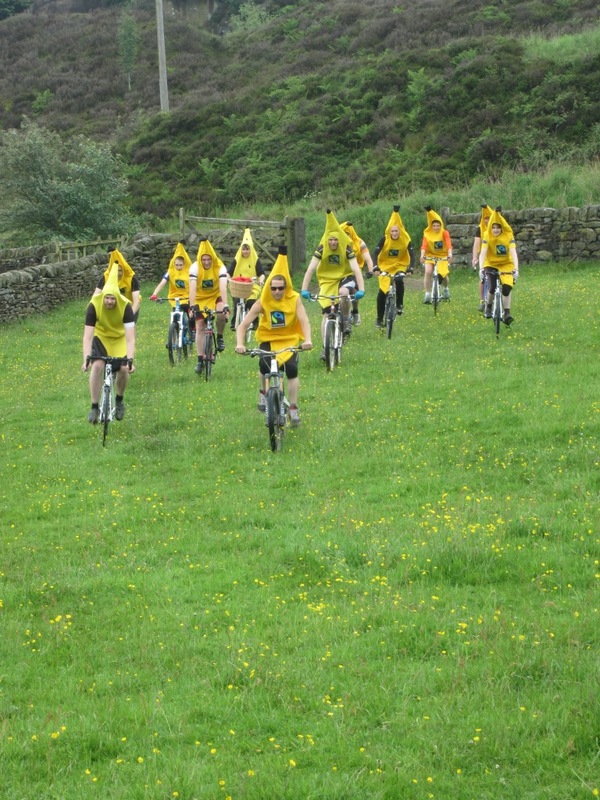 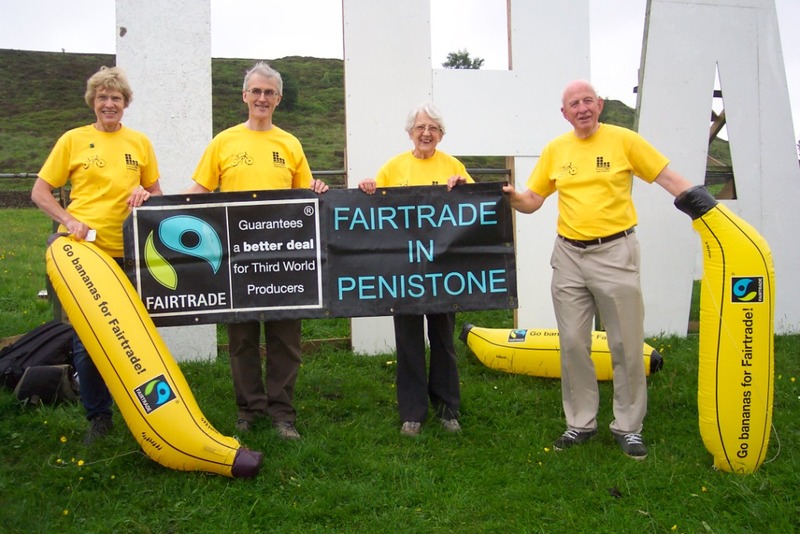 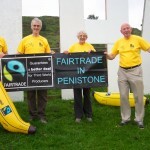 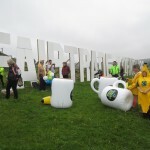 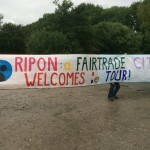 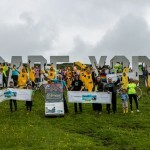 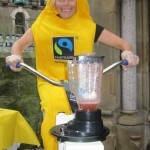 Here’s a photo roundup of Fairtrade campaigners around the region at events along the route of the Tour de France. 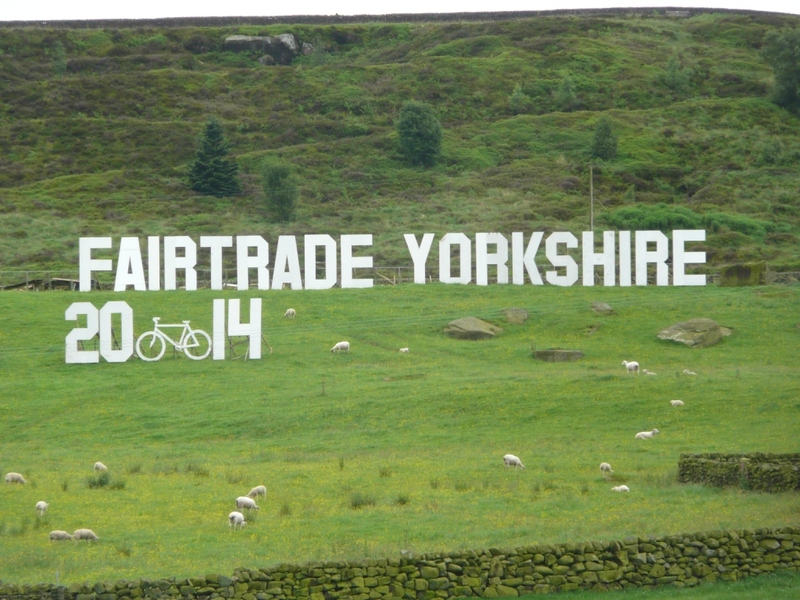 The ‘Worth the Tour’ letters spell it out! 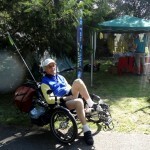 Photo by John Sargent. 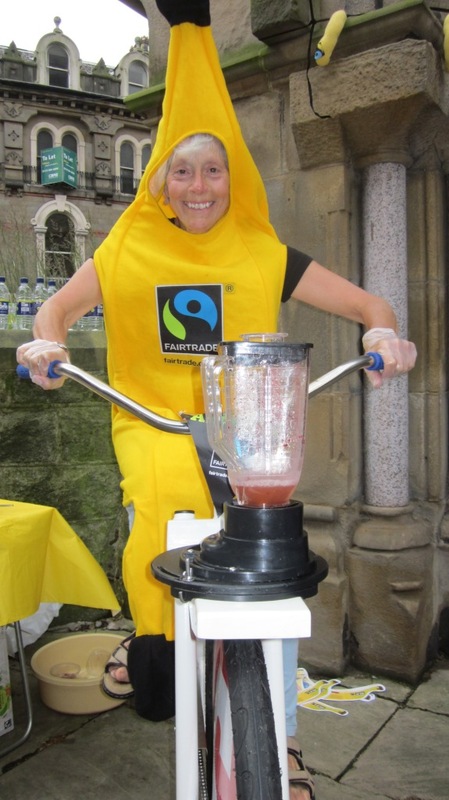 Harrogate Fairtrade Campaign make bike-powered smoothies as Le Tour visits, July 5th. 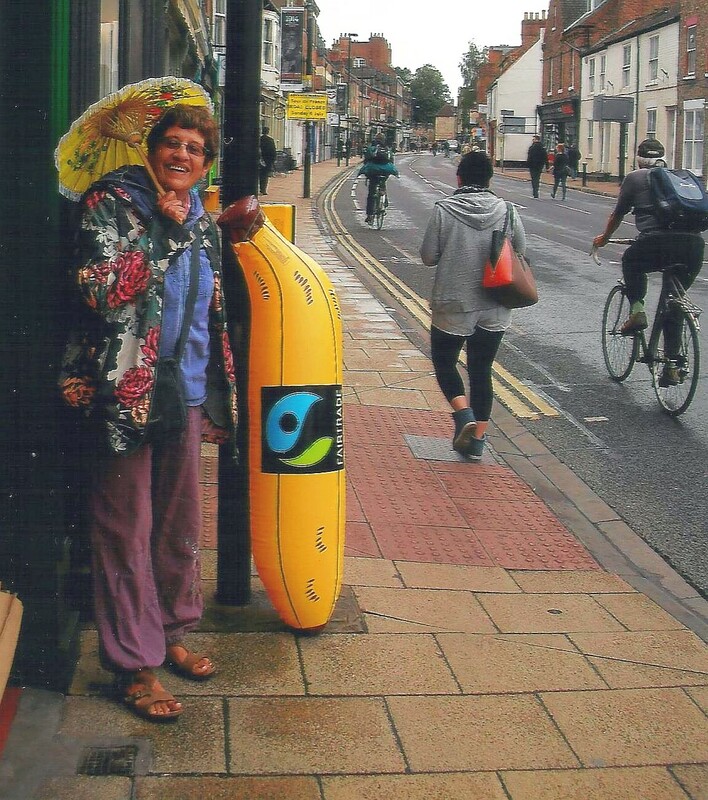 Janice Gwilliam of Fairtrade Malton and Norton (plus Fairtrade parasol) standing outside Fairer World in York on the morning of the Grand Depart. 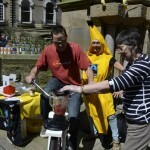 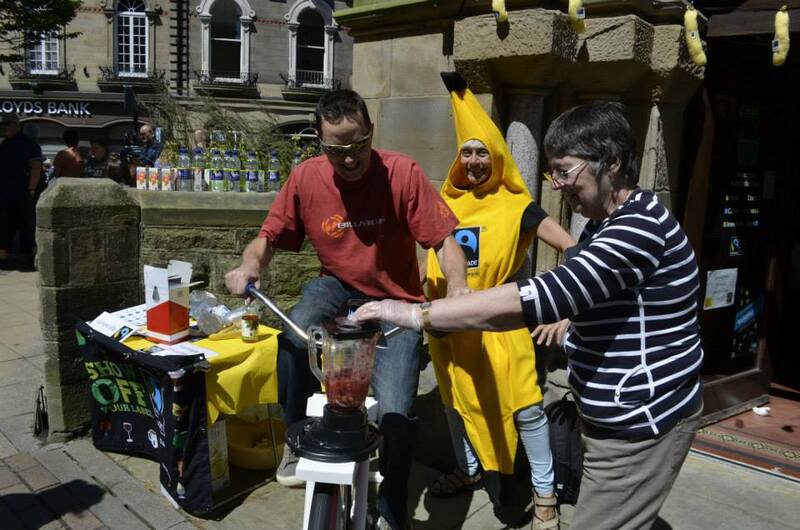 Campaigners in Harrogate had a smoothie bike making Fairtrade fruit smoothies outside the Fairtrade shop (which is only a few metres from the finishing line day 1). 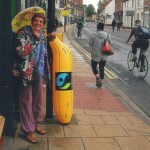 The shop had an excellent stock of FT bike related items including things made out of bike chains. 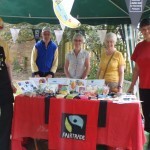 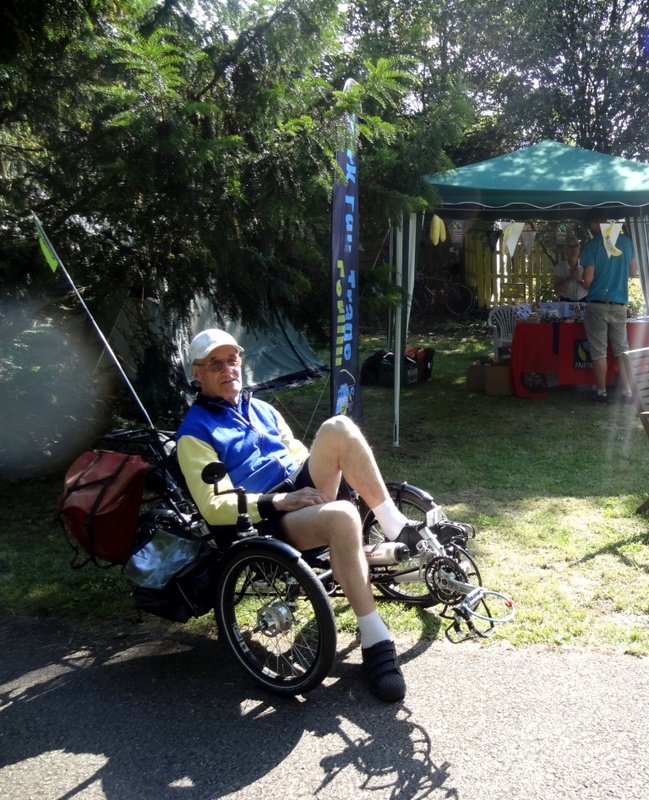 In York, the Fair Trade Forum supported the Tour le Solar System festival on the York – Selby cycle route. 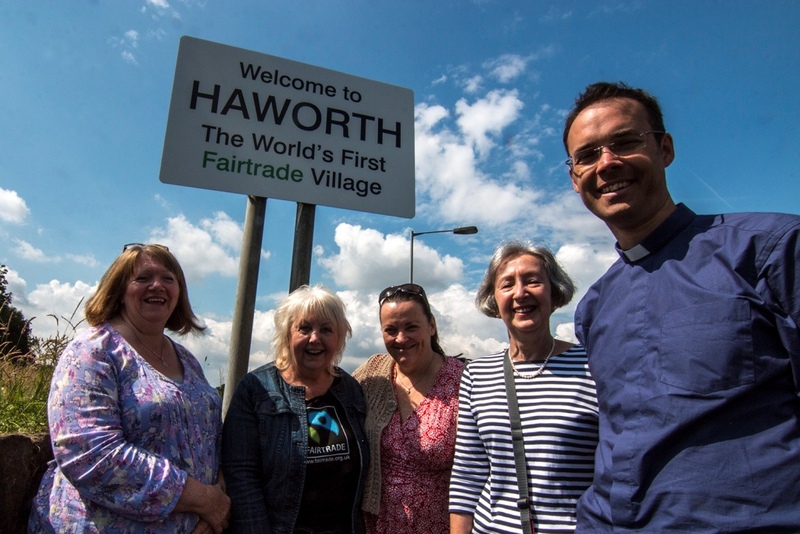 Fairtrade Haworth are rightly proud of their status as the world’s first Fairtrade village. 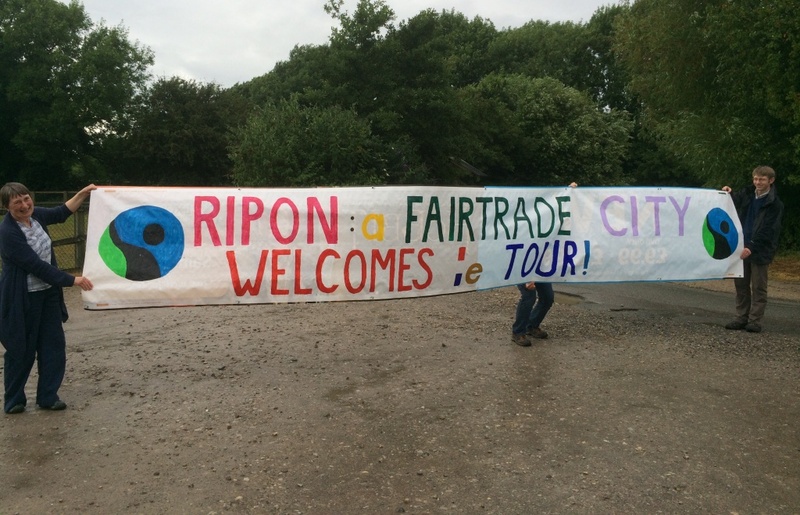 So no one coming to the village is in any doubt, visitors are welcomed with this fantastic sign. 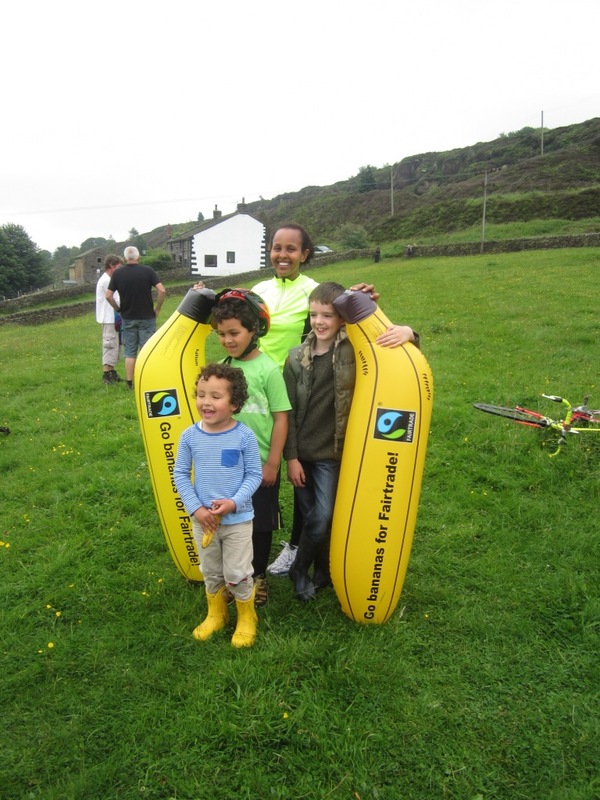 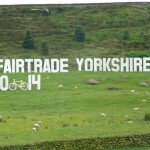 Haworth played host to the filming of our Fairtrade Yorkshire movie to welcome the Tour de France to the region.